When Annette asked me what I wanted her to work on next, I was ready with an answer this time. My oldest daughter Clara has been writing a series over on Homeschool Encouragement about the Armor of God and the lessons we can learn from the armor of that day. Copywork seemed like a natural fit for this passage! 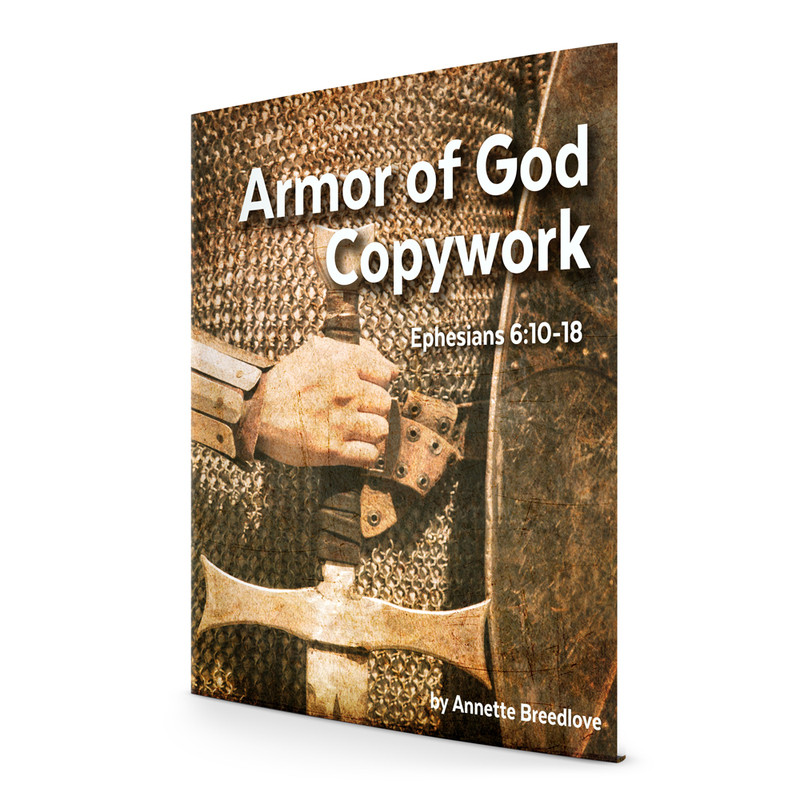 This very cool copywork pack includes knightly graphics on every page, and each verse is presented in five line styles. The book is 56 pages in all. The verses are in the English Standard Version of the Bible. Login to your paid Homeschool Copywork to see the green download button for this book.